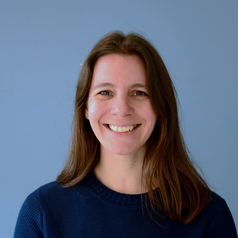 Dr Ana Bugnot is an expert on the effects of human impacts in the marine environment and designs strategies to increase ecosystem health in urbanised coasts. She is interested in producing information that can directly inform the management of human impacts in marine habitats. Using state-of-the-art technologies, she is unravelling the nature and magnitude of human impacts and working with industry and environmental managers to develop solutions. Ana completed a Ph.D. at the University of Sydney in 2014 and is now a Research Associate at the Applied Marine and Estuarine Ecology Group in the University of New South Wales. She has made major contributions to the marine ecological community in New South Wales. Ana has good record of attracting research funding and publishing in scientific journals. She has been a Doctoral Fellow and collaborator at the Sydney Institute of Marine Science (since 2010), a councilor for the Australian Marine Science Association (since 2011) and has been participating in the CSIRO Scientists and Mathematicians in Schools program since 2016.